Josh Turner’s deep burnished baritone is one of the most distinctive on today’s country radio, but his choice of songs has sometimes let him down. Happily, this time he has found a better selection of material than on his last effort, the disappointingly pedestrian Haywire, much of it written or co-written by the artist. Frank Rogers’ attractive production puts the vocals at the heart of the record, in a restrained but firmly country setting. This is great fun and it could be a good single choice with obvious video possibilities. It is certainly more interesting than Josh’s current top 20 hit, the unexciting ‘Time Is Love’, which is pleasant listening but nothing more. Josh teamed up with Mark Narmore to write two songs. The better of these is the very good ‘Cold Shoulder’, the plaint of a bewildered man struggling to understand why his wife is freezing him out when he has done nothing wrong. Some lovely steel guitar from Steve Hinson dominates the backing, while the vocal is excellent. ‘Good Problem’ is less memorable but still a pretty good song about a man getting ready to settle down to married life and give up his freedom with no regret, with an interesting arrangement. ‘Find Me A Baby’, written by Josh with Frank Rogers, is another good-sounding take on finding true love, but this time clearly autobiographical drawing its details from Josh’s real life and featuring his wife Jennifer and their small children on faintly embarrassing “na-na-na”s, something I normally hate, but the good humor of the song as a whole just about carries it off. Ben Hayslip is not a bad writer when separated from his Peach Picker friends, and he helped Josh with ‘Left Hand Man’ (yet another take on committing to getting married but one which benefits from a playfully charming arrangement) and the lyrically slight but catchily melodic ‘Whatcha Reckon’. Josh’s deep bass-baritone has a natural gravitas showcased at its best on serious songs like this with emotional weight rather than the more frivolous fare radio prefers. Ricky Skaggs guests on the religious ‘For The Love Of God’, contributing mandolin, an instrument described as a cello banjo and harmonies to the bright acoustic treatment of a heartfelt if slightly moralistic song about living the right way and for the right reasons. This was another solo composition by Josh. Also very well done is the album’s other religious song, ‘I Was There’, written by Tim Menzies and Monty Criswell, where Josh reverently portrays the voice of God. ‘Deeper Than My Love’ is a nice love song written by Chris Stapleton and Lee Thomas Miller with some great growly bass vocals from Josh and cool banked backing vocals which give the track a life and individuality perhaps missing in the relatively obvious lyrics. The redundant deluxe version just adds live versions of ‘Punching Bag’ and ‘Time Is Love’ and some of Josh’s bigger past hits, which add little to the recorded versions. Overall this is an enjoyable album which is a definite step back in the right direction after Haywire. Some of the material is still lacking in lyrical depth, with the melodies generally stronger, but the whole package is solid. From the very beginning, collaborations with other artists have been an integral part of Emmylou Harris’ career. Over the span of nearly 40 years, she is perhaps as well known for supplying harmony vocals to other artists records and championing promising newcomers as for her own solo work. It would perhaps be easier to list the names of the artists with whom she has not worked; like Willie Nelson she has worked with a variety of performers from both within and outside the country genre. It isn’t possible to do justice to such a large body of work in a single article, but I’d like to touch on some of my favorites. Emmylou was performing in small venues in the Washington, DC area when she was discovered by Chris Hillman, who was then the bandleader of The Flying Burrito Brothers. It was he who recommended her to Gram Parsons, who hired her to be his duet partner and introduced her to the world of country music. She sang prominent harmonies on Parsons’ 1973 solo debut album GP, as well as on the follow-up Grievous Angel, which was released in 1974 after Parsons’ death from a drug overdose. Both albums were re-released on a single disc by Reprise. They are also available digitally and are well worth a listen. Emmylou later covered many of the songs on these two volumes on her solo albums. One of the best is a rendition of Roy Orbison’s “Love Hurts”, which also appears on Emmylou’s Duets compilation, which was released by Reprise in 1990 and is an excellent sampler of her non-solo work. Duets also includes such hits as “We Believe In Happy Endings” with Earl Thomas Conley, “If I Needed You” with Don Williams, and “That Lovin’ You Feeling Again” with Roy Orbison, which won a Grammy in 1980 for Best Country Vocal Performance by a Duo or Group. Two new tracks were recorded for the project: “The Price I Pay” with Chris Hillman’s Desert Rose Band and a beautiful rendition of Nanci Griffith’s “Gulf Coast Highway” with Willie Nelson. After the death of Gram Parsons and before she secured her solo deal with Reprise, Emmylou had sung backup on some of Linda Ronstadt’s records, and formed what was to become a lifelong friendship. Ronstadt eventually returned the favor, singing backup on Emmylou’s solo records, as did Dolly Parton, whose “Coat of Many Colors” Emmylou had covered on her Pieces of the Sky album. The three women formed an alliance and recorded together sporadically over the next several years. For many years, legal issues and record label politics thwarted their attempts to release an album together, but their collaborations occasionally turned up on Emmylou’s albums, notably “Even Cowgirls Get the Blues” from 1979’s Blue Kentucky Girl and “Mister Sandman” from 1981’s Evangeline. Parton and Ronstadt also both contributed to 1980’s Roses In The Snow. Eventually the three women released Trio and Trio II in 1987 and 1999, respectively. Emmylou and Linda teamed up again in 1999 for Western Wall: The Tucson Sessions. Dolly wasn’t available to participate this time around; let’s just say that her presence is sorely missed as this particular album is not one of my favorites. In 2007 Rhino Records released the four-disc boxed set Songbird: Rare Tracks and Forgotten Gems, which includes a generous sampling of Emmylou’s lesser-known solo and non-solo efforts. Some of the highlights include “Spanish Johnny” with Waylon Jennings, “One Paper Kid” with Willie Nelson and “Here We Are” with George Jones. It also contains some of the outtakes from the Trio sessions with Ronstadt and Parton, as well as some of their earlier recordings that had not previously seen the light of day, including 1978’s “Palms of Victory” and an exquisite reading of “Softly and Tenderly” from the second Trio sessions. Also of note are some of Emmylou’s contributions to tribute albums, such as the title track to the 1994 Merle Haggard tribute Mama’s Hungry Eyes, which she sings with Rodney Crowell, and “Golden Ring” from 1998’s Tammy Wynette Remembered, on which she is joined by Linda Ronstadt and Kate and Anna McGarrigle. 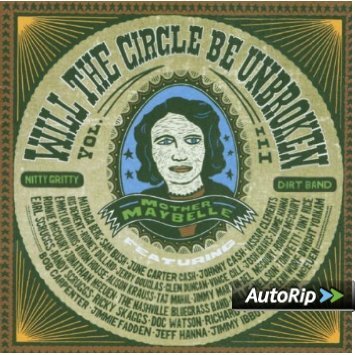 “Mary Danced With Soldiers” from The Nitty Gritty Dirt Band’s Will The Circle Be Unbroken, Volume 2 also makes an appearance, as does “I Don’t Love You Much, Do I” with Guy Clark and “Sonny”, sung with Ireland’s Mary Black and Dolores Keane. The third and fourth discs of Songbird rely heavily on duet material, including collaborations with artists such as Sheryl Crow, Patty Griffin, Mark Knopfler, Carl Jackson, Randy Scruggs, Iris Dement, The Pretenders, and The Seldom Scene. Songbird is a somewhat pricy collection, but it is one of the best music purchases I ever made. In addition to the artists previously mentioned, Emmylou has lent her voice to recordings by Terri Clark, The Judds, Vince Gill, Trisha Yearwood, and countless others. As someone who became interested in country music during the Urban Cowboy’s heyday in the early 80s, Emmylou’s music was something of an acquired taste for me. It took a few years for me to fully appreciate her artistry, and it was primarily through her work with others that I became a huge fan. Sunny Sweeney began her performing career as a student of improv comedy in New York City. Fortunately for country music fans, her fellow classmates encouraged her to first pursue a career in music. After that, Sunny retreated to her Texas hometown, before she made the move to Austin and began playing the local honky tonk circuit. She was soon writing her own songs and landed a spot on an international tour with Dwight Yoakam. In 2007, Big Machine Records signed Sweeney to the label and issued her first album, Heartbreaker’s Hall of Fame. Three singles were released, all of which failed to chart. Heartbreaker’s Hall of Fame was recorded at Cherry Ridge Studio in Floresville, Texas, far from Music Row. It’s no wonder the set failed to generate any radio hits given the album’s overall sound and running themes. That she really honed her chops playing the honky tonks is evident in both the aesthetic and the themes present in the lyrics here as Texas roadhouse country seems to the most common recurring musical theme among a littering of influences of honky-tonk, traditional country, and embracing Nashville renegades. There are plenty of two-steps and genuine barroom honky-tonk with tracks like ‘East Texas Pines’, a rocking lament to days gone by and your current location. The album’s title track was perhaps its best shot at a mainstream country radio hit, but even it was a long shot. Sunny’s charming drawl, coupled with layers of steel guitar, walking bass lines, and some saucy harmonica playing, keep it firmly rooted in traditional country; radical, you know. ‘If I Could’ moves at breakneck speed – and shows Sunny to be capable as an auctioneer if nothing else – in a knee-slapping good time of a song. Proving Sweeney to be a singer’s singer – a characteristic that almost always means quality but also means no commercial appeal for some reason – this album has more than its share of insider songs about the music industry, and even more that just plain espouse the virtues and importance of music to the mind and soul. ‘Next Big Nothing’ tells of a singer’s struggles and frustrations with the slow pace of success while ‘Slow Swinging Western Tunes’ sings both the praises and the curses of sweet dance hall numbers – ‘play them in reverse and you get yourself a broken heart’.